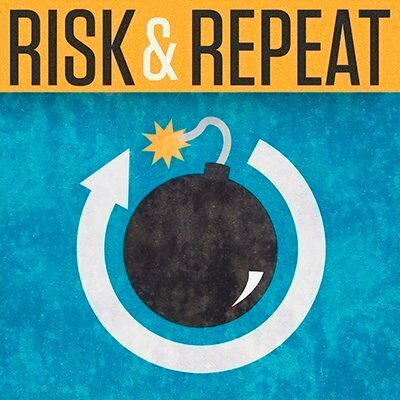 In this Risk & Repeat podcast, SearchSecurity editors discuss cyber attribution following the U.S. government's claim that Russia is behind recent state-sponsored cyberattacks. The issue of cyber attribution has become a topic of debate following the U.S. government's formal statement accusing the Russian government of state-sponsored cyberattacks. The U.S. Department of Homeland Security and the Office of the Director of National Intelligence released a joint statement last week accusing the Russian government of orchestrating cyberattacks against state election systems and the Democratic National Committee, among others. The attacks have in some cases resulted in data breaches exposing confidential emails, which the U.S. intelligence community believes are politically motivated. "These thefts and disclosures are intended to interfere with the U.S. election process," the statement read. "We believe, based on the scope and sensitivity of these efforts, that only Russia's senior-most officials could have authorized these activities." The joint statement offered some cyber attribution evidence to support the government's claims. For example, DHS claimed that most of the state-sponsored cyberattacks on voter databases have originated "from servers operated by a Russian company." In addition, private security firms such as CrowdStrike have offered detailed information tying some of the recent attacks to Russian APT groups such as Cozy Bear and Fancy Bear. But how strong is the technical evidence against the Russian government? How much human intelligence is the U.S. using in its cyber attribution efforts? And what defensive steps is the U.S. government taking to protect election systems and political targets? In this episode of SearchSecurity's Risk & Repeat podcast, editors Rob Wright and Peter Loshin discuss those questions and more regarding the accusations against the Russian government. How strong is the cyber attribution case against the Russian government? Hard to say, since the conclusions are based off reports that are equally lacking solid evidence. OMG, “To influence public opinion”sound familiar? VOA anyone? “Through it’s state run media” Come on guys ... I think this expression, “state sponsored” is tossed about too loosely. If an American company, Google,Microsoft,Oracle ended up hosting the platform from which a digital incursion took place would that be considered state sponsored? Do you think Facebook clouded with the US gov’t. Do you think Amazon has a deep and complex relationship with the US gov’t. If a internet marketing company (malware and spam) based in Russia, or for that matter ANY country ends up hitting a US gov’t site - that that suddenly ‘state sponsored’? Are Crowdstrike’s efforts state sponsored, Was Cambridge Analytica state sponsored when they carried out there propaganda campaign? Why is Russia the only source of state sponsored nefarious activity? Or maybe its only countries belonging to axis if evil? Try to be more measured and neutral as a journalist, otherwise you run the risk of just looking like a shill / mouthpiece.